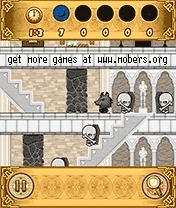 11/1/11 - 12/1/11 — Mobers.ORG — Your Daily Source For Mobile FUN! For the first time ever on iPhone and iPad, you can explore a truly vast and open frontier in a Wild West full of mystery, bandits and more…unnatural enemies. Freely discover 40 missions spread across Arizona and Oregon. 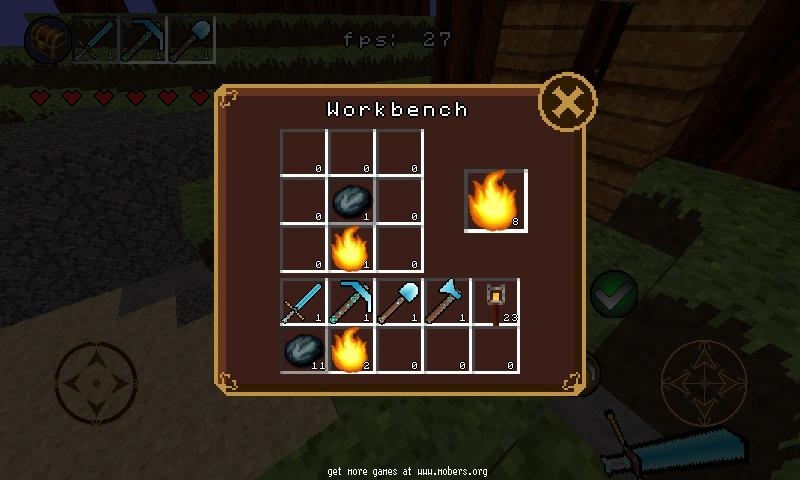 Whether you’re racing horses, stopping robbers, shooting targets or taking back a fort, you’ll need the right equipment for the job, and there are 19 weapons, 8 horses, a vast selection of clothing and more for you to acquire. So come and visit this land where it’s kill or be killed. You can play it for free - make your enemies pay! 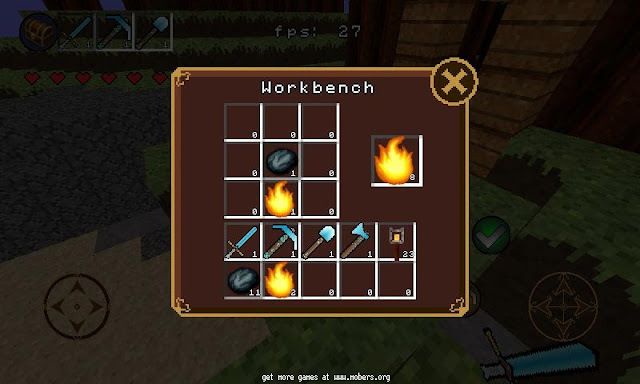 Unlock 8 different horses, 19 weapons and a vast selection of clothes and other items you’ll need. The first iPhone/iPad game to let you freely explore massive Wild West landscapes in Arizona and Oregon. 40 varied missions: Race horses, stop robbers, shoot targets, take back the fort and more! 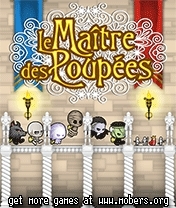 Fight looting bandits, bloodthirsty vampires, cunning witches and many other supernatural foes. Get lost in the beautifully designed landscapes. EA's bringing The Sims back to iOS as a realtime free-to-play title.As its name implies, Sims FreePlay is a free-to-play title monetized completely through optional In-App Purchases. Like The Sims Social on Facebook, gameplay takes place in realtime, meaning day/night cycles follow a real-world 24-hour clock. Rather than sit and play for long stretches, players will be encouraged to pop in throughout the day to check in on their sim. Experience the parallel destinies of a gangster and a cop in the official mobile game of American Gangster. Relive the film’s storyline and immerse yourself into 1970’s Harlem through 40 available missions. Play as Harlem boss Frank Lucas or lead a crime empire by expanding your business and eliminating your enemies, or do whatever it takes to stop Lucas by developing your network of informers and reeling in the mafia as Richie Roberts, the outcast cop. Either way, if you want to survive...you'll have to become the most influential man in Harlem. The official mobile game of American Gangster features a story and atmosphere inspired by this fall's highly-anticipated film event. Alternate between playing as Frank Lucas, the gangster, and Richie Roberts, the cop. Make your way through a gigantic universe, a perfect replica of 1970’s Harlem. Choose from one of the many available car models and hurl yourself into road pursuits. No fewer than 40 missions divided between the two characters. 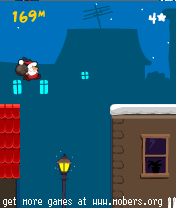 Make Santa Claus run the furthest possible and give out as many presents as possible. However, it will not be as easy as it may look at the first sight! You must be careful because there are a lot of traps on the way. 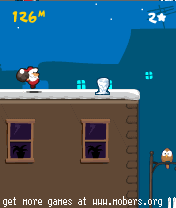 You will have to jump over the gaps between houses, avoid falling icicles and throw the presents down the chimneys. 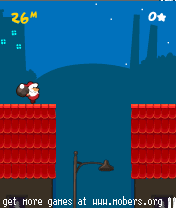 You must jump over the chimneys because if you bump against them, they will slow you down. It is only up to you how generous this Christmas will be and how may presents you will give away! ALSO CHECK OUT: "SANTA DASH 1"
Prepare yourself for the thrilling, challenging and even brain-teasing experience for this exquisitely designed platform puzzle game for all ages. 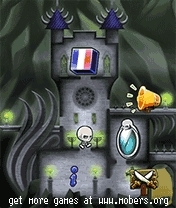 Guide your puppets to the top of enemy castle, and trample the enemy king for victory! Strategically control winder boxes that transform puppets to desired types with abilities at the right time and sequence, making them effective in helping other team members to cross traps and move to the exit before the time runs out! 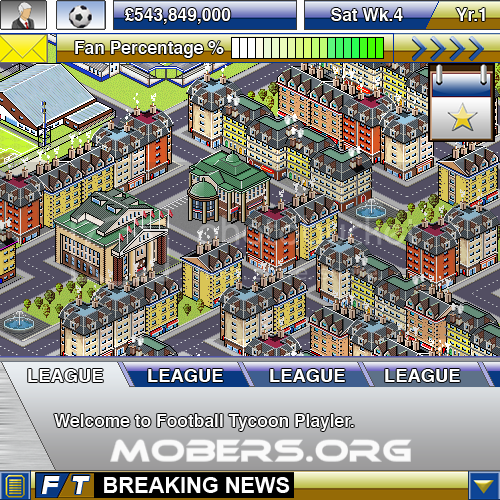 The title boasts two expansive single player modes; The rags to riches 'Grass Roots', which tasks players with taking a small team to the top of the Tycoon Owner Rich List within 30 years and 'Scenario Mode', which allows owners to tackle a variety of challenges, such as taking over a small club and pulling them out of administration. Museums boring? Not when their exhibits come to life at night! Play the official, action-packed mobile game of Night at the Museum: Battle of the Smithsonian! Avoid dinosaur fossils, escape from a giant octopus, chat with the world’s greatest statues, hitch a ride in an antique airplane, ride in a motorcycle side-car and face off against the most dangerous armies in human history! At the Smithsonian Institution, when the lights go off, the battle is on. Extra rich gameplay mixes Platforming, Action, Adventure, Racing and even Flying! 2 playable characters: Play as the night guard Larry Daley and Dexter the monkey! Visit 5 locations: From the Air & Space Museum to the National Archives! Game scenario inspired by the movie, full of action, adventure and humor. 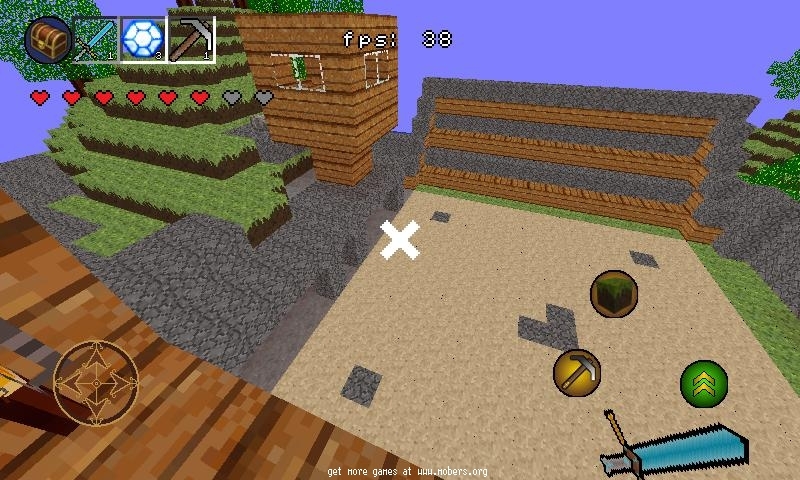 Avoid stuffed lions, chat with a statue, ride an airplane, face off against armies, and more. Meet history’s greatest figures: Napoleon, Ivan the Terrible, General Custer and more. The city is under zombie attack and you have to save it. Kill the zombies, collect potions to survive and rescue the human population. You are the last hero of humanity. 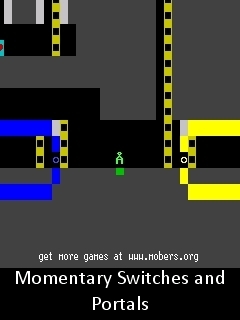 Arrow keys to move Left top button to pause/show map. Rigth top button to change the bullets. 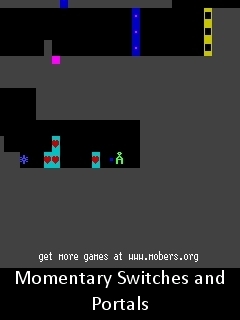 You have to use bomb to explode walls and windows when you need new ways to continue. Experience real football and play for the Super Bowl against the Cardinals, Steelers and the rest of the NFL on your cell phone. 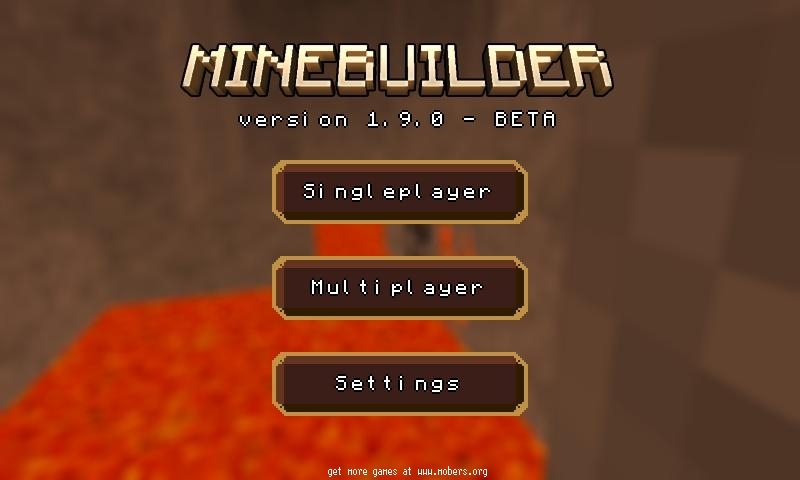 Every 2010 player and over 100 plays make this a complete sports game. Get into the action with a new QB view & feel the rush of running and passing in beautiful 3D-like graphics. More intuitive controls allow you to perform moves easily while charging down the field. You’ll practically feel it, as your player tackles opponents & hear the crowd roar as you score! work in progress, so expect a lot of updates! 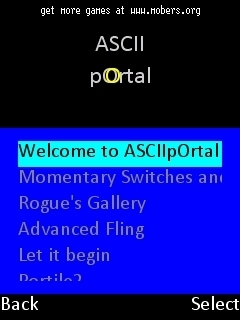 ASCIIpOrtal is a unique puzzle game. You can create custom maps so even when the game is over the fun doesn’t need to end. Escape the test chambers. 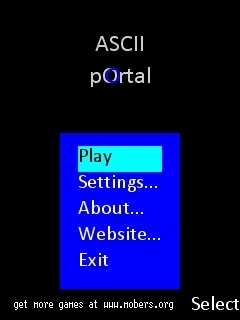 Play ASCII pOrtal! 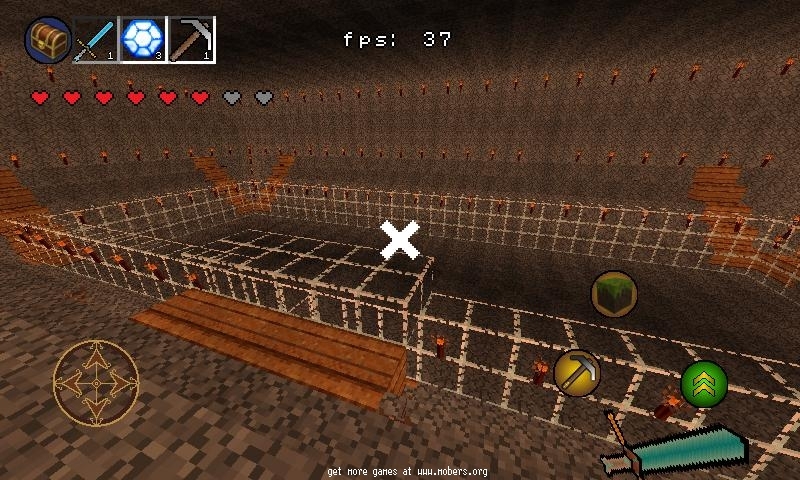 ALSO CHECK OUT "PORTAL 3D (MOD)"
You’ve just arrived from your hometown to escape your past. 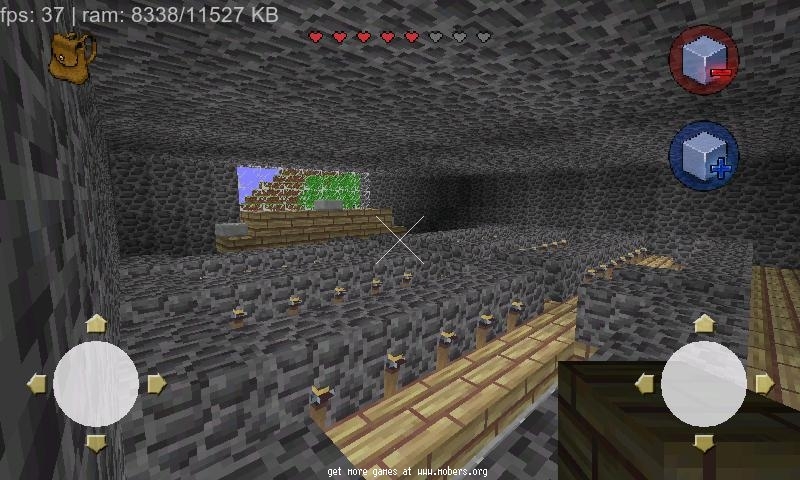 Now you’ve decided to make a name for yourself in one of the gangs in your new stomping grounds. You never back away from danger or even let morals stand in your way. Plus you’ve got mad skills when it comes to handling weapons and driving with attitude in the wild inner-city. So you have everything you’ll need to become the biggest gang leader that the city has ever known! Of course, you’ll have to start at the bottom by first settling your debt with Kingpin, the neighborhood godfather who organized your arrival. Take on more than 60 missions on behalf of local godfathers: Kingpin, your old cellmate Crank Marshall, the corrupt cop Barnes, etc. Make your way through two massive cities with open environments and various neighborhoods reproduced in detail: the beach, the marina, the docks, the upscale neighborhoods, the grimy downtown area, and others. An unbelievable feeling of freedom: explore the entire city on foot or by car, go up to any person you want, “borrow” whatever vehicle, etc. Develop your own business: besides taking on missions loaded with pure action, you can also extend your power by running your own restaurants, clubs, and even a music label! Immediate pick-up-and-play and great game comfort: automatic aim, 2 types of controls to guide vehicles, a GPS to find your way around, etc. A unique atmosphere: hip-hop music, streets bustling with life, colorful main characters, and sharp dialog!